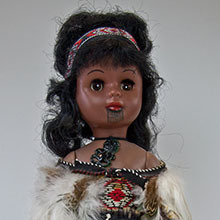 Wahine Maori doll from New Zealand. 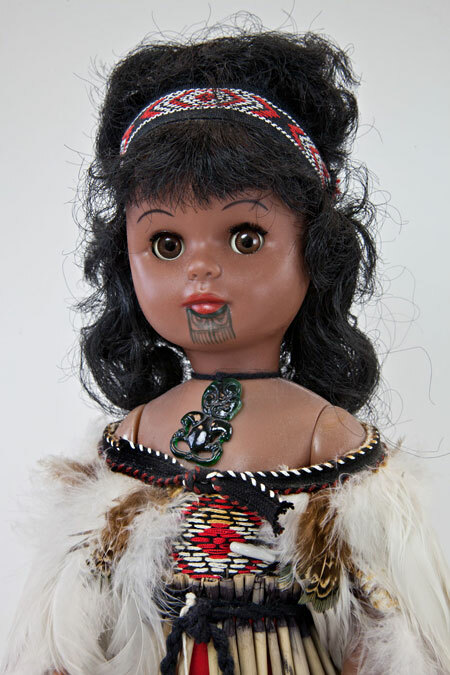 Maori people are the “original” people of New Zealand, descendants of Polynesians originating from southeast Asia. 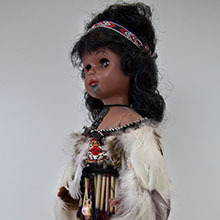 Wahine is the Maori word for woman or wife. The Maori dressed in different designs according to tribe and their rank within the tribe. 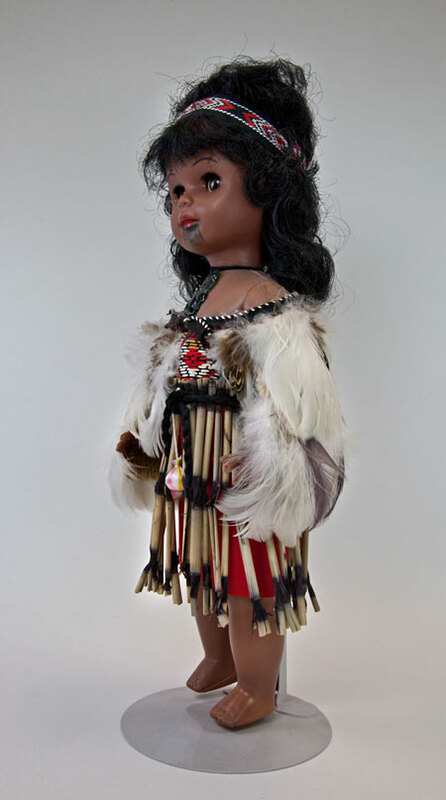 This doll is wearing a cloak (kahu huruhuru) made of bird feathers. Her headband and bodice are made of woven material. Her skirt is piupiu, a form of grass that is native to New Zealand. She has a green pendant, called a hei-tiki. She has a chin tattoo (moko) on her face. Men in her tribe would generally have much more extensive tattoos on their faces. 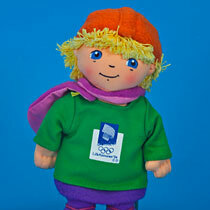 The doll is made of plastic, with a rubber head. My name is Aria, and I live in New Zealand. My country is made up of two main islands—the north and the south. I live in the capital city of Wellington on the north island. New Zealand is off the coast of Australia. Tonight, I am working on a school report that is due in three days. I am writing about the people who are native to New Zealand, called the Maori people. Luckily my uncle is very active in the Maori community. He is coming over soon to help me with the assignment. Before talking to Uncle Nikaul, I started the report with history about the Maori people. The Maori were the first settlers in New Zealand. They arrived by canoe over 1000 years ago. The native Maori people had no written language. Their traditions were handed down orally. They used songs and carvings to tell stories of the past. 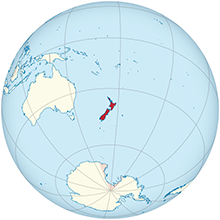 In 1642, the first Europeans landed on New Zealand. 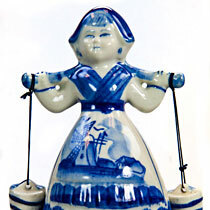 For the next 200 years, it was used as a European trading route. Then, about 1840, the country became a part of the British Empire. Although the history of New Zealand is important, I felt my report was getting a bit “boring…” When my uncle arrived, I thought of a much more interesting approach. 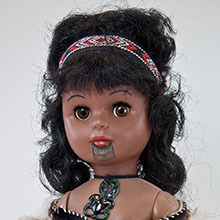 Perhaps I could write about the Maori tattoos, called Ta Moko. Since Uncle Nikaul’s face is covered in tattoos, I asked him to explain their meanings.